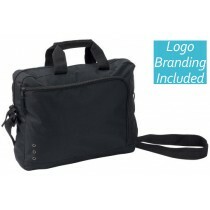 Buy briefcases that are seamlessly branded with your corporate graphics or logos for your organisation. 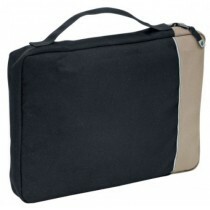 We stock an extensive range of briefcases to suit all budgets. 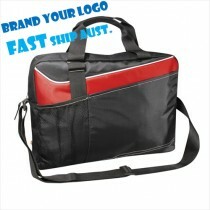 You will always find the most appropriate briefcase, no matter what type of work in which your company engages. 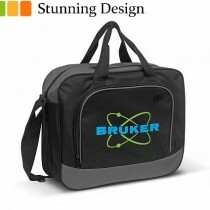 A briefcase is not merely an item that can carry contents. You see a well-branded briefcase has two advantages in firstly providing you with a professional image to external clients and secondly a branded briefcase allows you to provide a subtle marketing message to ""get your brand noticed." We are experts at screen printing your graphics and logos onto briefcases, and we now offer full-colour custom printing of your graphics as well. When selecting briefcases from our range here, you will notice that most styles feature large plain empty surfaces. We chose these products intentionally for this reason. You see the large empty surfaces enable us to decorate your logo using either screen printing, embroidery or digital transfer printing. You have the option of choosing to have your branding displayed prominently in a large bold font, or perhaps displayed in a smaller more subtle way. Our team of experts can guide you through the best way to brand your bag. All our items here are made with care using quality materials and craftsmanship. From our cheapest options to our most premium items, you can be assured that the quality will far exceed the price that you paid for them. In other words, they are exceptional value for money. A briefcase features a few characteristics that make it more than just a satchel. For starters, all our custom briefcases are made from materials that are significantly stronger than satchels. 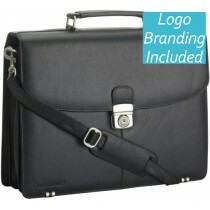 Durability is absolutely essential for a quality briefcase. Our briefcases are also rigid, so they stand up straight when placed onto any flat surface. 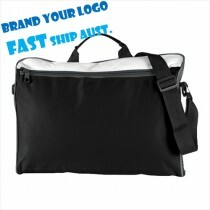 We are Australia's leading vendor in supplying customised briefcases. 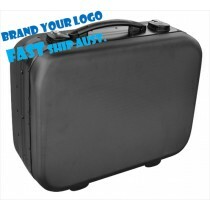 The regular turnaround time is between 1-2 weeks for both branding your logo on the item and delivery. If you require your product sooner, simply email or call us and we can work towards your required date. 1) Consider how your user will interact with the bag on a daily basis. May the user of this bag be needing a lot of durability? Perhaps they are frequent travellers and require a bag that provides more protection and thicker construction than normal? In this instance, you definitely would need to select a more bulkier bag. If not, then select a bag with less weight and less bulk. 2) Aesthetics is very important in choosing the bag for you. Firstly, consider the aesthetics that you need to match your corporate image or brand. Secondly, select the bag that you think your target user will like to use every day. If in doubt, we always recommend clients to select a bag that is more plain to ensure that a wider range of tastes are catered for. 3) Functionality of your bag is important. In a typical work environment, having access to technology items is an absolute essential part of our working lives. 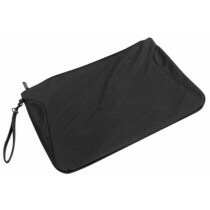 Consider if you may need a personalised laptop bag, or if you need to provide compartments for tablets, smartphones, chargers, flash memory drives or any other electronic item. Having more pockets to carry items may add bulk to your bag, but will definitely enhance the daily working lifestyle of the user.